The group continues to expand internationally and has now opened a new centre of excellence aimed at providing high value-added services to its customers in China. The facility with cutting-edge equipment aims to give a commercial boost to the industrial group in the Asian country. Opening these premises strengthens the group’s presence in China and complements the activity that the Beijing office has carried out for over 25 years. With the mission of reinforcing its presence on the Chinese market and providing a high value-added service to its customers, the Basque business group DANOBATGROUP has inaugurated a centre of excellence in Shanghai, one of the most important industrial hubs in the Asian country. This centre of excellence expands the branch office the group has had in Beijing for more than 25 years and offers a greater activity. In addition, the new facilities will allow new services to be added in China. The Shanghai location will now offer customised demonstrations and tests to customers, where a specialized local technical team provides efficient and close-by technical assistance and training services, with immediate delivery of spare parts and the possibility of carrying out repairs in very short times. “Our establishment in Shanghai aims to position our two top brands - DANOBAT and SORALUCE - among the most prestigious on the Chinese market. It will also serve to strengthen our sales and technical service. This commitment allows us to strengthen ties with our customers and offer a more nearby local service, which at the same time is specialised and with a greater added value," says the group´s sales director, Oscar Urdangarin. This installation, in which initially 10 people will work, expands the range of services of DANOBATGROUP in China and ultimately endeavours to boost the sales in the Asian country, in particular in the area of Shanghai, one of the most important industrial hubs in the country. The group aims to achieve annual sales of more than 40 million euros on the Chinese market over the next two or three years. “With these new facilities, DANOBATGROUP takes another important step in its strategy of expanding abroad and confirms the policy of international presence on the main markets that the group has been pursuing for years. We want to convey to our customers, suppliers, institutions and partners in general that the commitment of the DANOBATGROUP on the Chinese market, going back more than 25 years ago, is solid and firm and that we are here to stay. 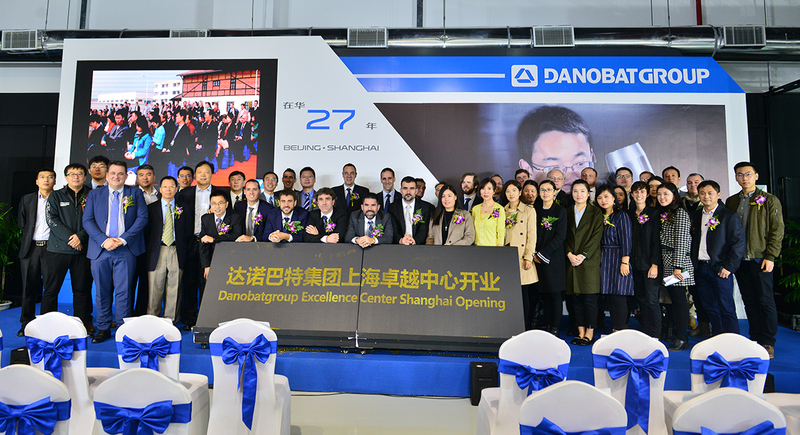 In addition to that, we wish to show that with these direct investments, such as this new centre of excellence, the DANOBATGROUP supports the international strategy of China", adds Urdangarin. The new centre of excellence was inaugurated on 21 November during a ceremony presided by the general manager of DANOBATGROUP, Pello Rodríguez, who was accompanied by several representatives of the different companies in the group. 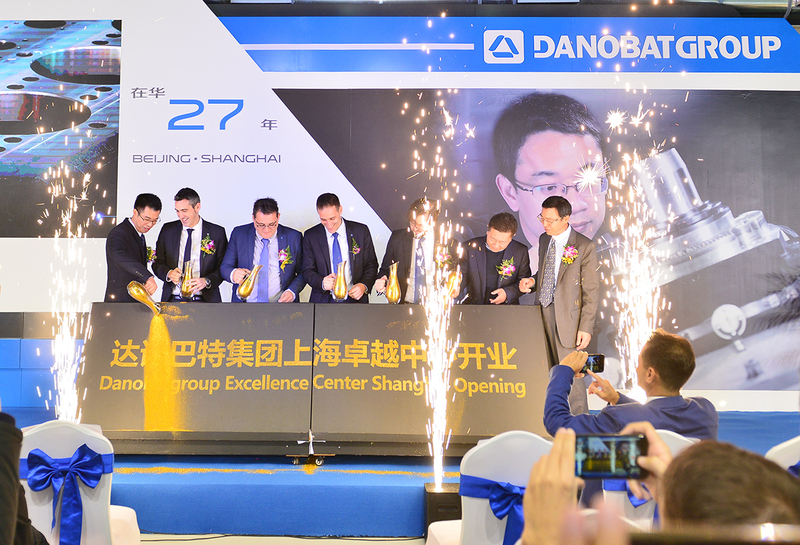 The inaugural event, with an attractive programme, served to inform the group´s clients and local authorities of the renewed offer of value-added services which, through the new centre of excellence, DANOBATGROUP brings to the Chinese client. With 65 years of experience in the field of technologies applied to industrial manufacturing, DANOBATGROUP has a staff of over 1,300 highly qualified people. The group is an international benchmark in the sector of machine tools and technologies applied to industrial manufacturing.